With a typically pathetic British response to snowfall, Heathrow’s closure means my flight to the States to join my family has been cancelled. Unsurprisingly flights are fully booked and the earliest slot they could find is on the 25th. On the plus side, that means my Christmas Day will be six hours longer than everyone else’s. On the down side, pretty much everything else. It’s not exactly a great day to spend travelling alone but I’d still much rather travel that day and see everyone sooner. Three hours of Christmas is better than zero, after all. In the meantime might I suggest Heathrow removes the incendiary “making every journey better” tagline from its website? I suddenly find myself with a great deal of free time and in need of distractions to stay upbeat. Currently I’m compiling a list of creative alternative methods to reach the States. Please do suggest your own. Thanks to Maurita for inspiring the first and third. Go UP. Admittedly, this would require taking the entire block of flats with me but who doesn’t want an airborne adventure? Terragate. Like a Stargate, only not interstellar. Acquire Child’s Play Portal Gun. Will require shipping portal gun to the US to create exit portal. Spontaneous Combustion. Look, it works for the Human Torch and I’ll give anything a try. Flame On! Build wings from wax and feathers. Take care not to fly too close to the sun. Forget to worry about wings freezing. Fall. We all have grand plans for when we’re in charge. Instead, this series of posts embraces the little things that would make the world a little better for everyone. Or just a little less infuriating for me. …bundling earphones with other products will be banned. 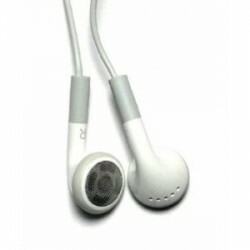 Every morning on the bus or train, nothing highlights humanity’s ignorance quite so starkly as those cheap plastic earbuds stuffed thoughtlessly into 50% of my fellow commuters’ ears. It is not, I understand, entirely their fault. The logic is sound: I spent £200 on a portable media player, so these earphones they included should sound pretty good. A fallacy, of course, since very nearly none of the product’s cost lies in those woefully inadequate buds. Meanwhile I am stricken with nightmares of the glistening plastic peaks of a landfill, piled high with the useless earphones I have immediately ditched over the years. Now, I am not snobbishly saying cheap earphones should not be an option at all — expensive Shures, Klipsch and the like are overkill for many. However, by unbundling them, consumers will be forced to make a proactive (and more informed) choice. Faced with a rack containing the full spectrum of humanity’s finest miniaturised electro-acoustic transducers, I suspect most would consider a paltry £30 or £40 a reasonable sum for a considerable upgrade. More importantly, people will start to see portable music as a two-stage purchase: a device that stores the media; and the product that reproduces the sound. Both are equally important to the end result and one ought to budget accordingly. N.B. Bundled earphones do serve one purpose: a free DIY laptop mute. Simply cut off the 3.5mm jack and insert it into your laptop’s headphone socket, removing it when sound is required. Never again be worried about the noise of booting your machine in a library or lecture hall. In hindsight it’s rather a shame I didn’t take my camera to the Pure Reason Revolution gig last night since it dawns on me that my first attempt at gig photography was at one of their shows, when I broke in my 50mm f/1.4 lens. Since I just purchased a new EOS 7D body, this would have been a fitting opportunity to try it out. Instead, you’ll see its results shortly when I head to the States. On to the gig itself. I knew Jon and Ian would be there, and — adopting a high vantage point — managed to scout them out along with Philly J. They missed an eclectic couple of support acts. The newly formed Clean Bandit are a bizarre fusion of string quartet, electronica DJ and drummer, fronted by a hip-hop MC. And yet it works in an incredibly fun way, with a vibrant vitality on stage. Mozart’s House is a perfect showcase, with the title alone epitomising their genre-defying sound. I can’t wait for them to record more. Next up were Losers, a three-piece sporting the increasingly common female drummer option. Rather than blending styles, Losers seemed slightly schizophrenic, channelling in turns like ambient Nine Inch Nails and The Prodigy. Also, electric guitar played with a bow. The final support were Welsh act The Last Republic. Though the most accomplished (by which I mean they’ve actually recorded an album) they were least interesting offering. They produced a decent rock sound, and conceiving a high pitched wail by singing into guitar pickups through a megaphone is undoubtedly novel. But novelty does not necessarily imply a successful result. Pure Reason Revolution’s set was largely a mixture of their second album and their recent release Hammer and Anvil. Their slightly rockier third release hasn’t really grabbed me yet, though many tracks work better live. On the other hand I’m hesitant to rule it out so swiftly, since Amor Vincit Omnia took a while to grow on me. We agreed, however, the night was fully redeemed by an encore of old songs from their early releases. And, of course, thanks to Clean Bandit there was a string quartet on hand. That rendition of Bullitts Dominae will now be tough to beat. And apparently for pre-ordering at the gig, my name will appear on the sleeve of the live DVD they recorded. Which is a nice touch. Incidentally the bouncers on the door were evidently pro-student protest. For my part I’m impressed by their tech savvy use of Google Maps to outmanoeuvre the police and evade initial attempts to “kettle” protesters. It seems the tools available to both sides are ever-improving. My review of Tron: Legacy, the film to which I alluded last time, is now up. You will notice I enjoyed it, yet it also marks the first time I have been really frustrated by the need to offer a star rating at the end. Its critics will hate it for a range of reasons, all of which I agree with — it’s a film of unexplored concepts, ponderously paced, thinly plotted, and incredibly self-indulgent. Charlie at Ultra Culture, which I noted in my last point, absolutely hated it. And I agree with everything he said. But as a techie/film geek it does exactly what I want in a number of areas so that if accepted on its merits it’s both an impressive achievement and rather enjoyable. I could easily have given it anything from two to three and a half stars, which would completely alter the impression of the preceding text. And I’d be lying if I said I wasn’t partly influenced by the desire to promote great use of 3D over shoddy conversions like Clash of the Titans or gimmicks like Alice in Wonderland. Interestingly, the same is true of the second film from the day, Mike Haggis’ The Next Three Days, starring Russell Crowe as an everyman teacher who ends up breaking his wife out of prison. I enjoyed it and would comfortably rate it a three-star film, but its structure — its opening two thirds a slow burn character drama followed by an explosive final act — will alienate much of its audience. Thriller fans will find much of the film too slow to sit through, while those who enjoy the drama will find the actual break and escape sequence utterly implausible. For me that same slow burn opening meant I was far more invested in the characters by the payoff, heightening its intensity. Obviously the star rating is as much an opinion as the text of any review, but in this case it seems rendered useless. I’m curious to know what people would think of alternative approaches, which other media have also begun using. One option is simply to ditch the rating and rely on the text, but I think it remains important to have some form of summary position at the end of a review to highlight the strength of any recommendation (recommendation is, I feel, a crucial part of the critic’s role). Breakdown ratings that cover different aspects of the film are no better. Perhaps my favourite option would be a short list of pros and cons, and perhaps a “see this film if you like…” targeted recommendation. Since you are the people who read them, I’d love to hear your thoughts, either in the comments or directly. In unrelated news, while I haven’t engaged with Wikileaks directly here, Glenn Greenwald’s levelheaded debunking of various pieces of critical media coverage is well worth reading. I spent the whole day at a new review event arranged by SeeFilmFirst which, in a rather progressive move, specifically targeted online writers. Better yet, they hosted it at my favourite screen in London (Empire Screen 1). There were advance screenings of two films but there’s an embargo on writing about them until tomorrow evening. That information may be enough for the curious to deduce the big film in question. At any rate, expect a review to land around 10pm. In addition to the films there were dozens of trailers and a couple of panel talks, one on building an online audience and one on tackling film piracy. The former had a varied panel from larger and smaller sites, introducing me to the delightfully irreverent Ultra Culture, which certainly offers a fresher voice than much of the UK offering. It also highlighted the common mistake (particularly by companies) in identifying “the online audience” as a single entity rather than a range of varied groups and communities with differing views and interests, as well as the way in which “the online film audience” is often unrepresentative of audiences as a whole. The latter served more as a reminder that the film industry remains slightly out of touch with its core audience. A director essentially described as empirically wrong the increasingly held view that a good home theatre setup now offers a higher fidelity experience than dealing with cinema crowds talking and using mobiles throughout. One panellist noted that the film industry tends to be a step behind music industry which, let’s remember, had to have its arm severely twisted before consenting to sale via DRM-free mp3 downloads. And suddenly they discovered that internet users weren’t all the cheapskate leeches they had imagined and were actually quite happy to pay money. The film industry, by comparison, has only just switched to thanking paying customers rather than threatening them before every film they watch. Restriction-free downloads clearly remain some way off. After a brief pit stop at the flat, I headed to Rav’s for a Leslie Nielsen memorial night. Order of service: Naked Gun followed by Airplane. The former inspired my all-time favourite Family Guy opening (season four’s PTV), and Shirley everyone enjoys the latter. There are those who may argue four films in one day might be considered excessive. Well, in a single day I’ve [REDACTED], followed Police Squad, flown on a plane and [REDACTED]. Not necessarily in that order. While the blog was on hiatus, and using some of my newly expanded disposable income post-qualification, I completed phase 3 of the home theatre system upgrade. As I prepared to write about it, it dawned on me that I hadn’t documented Phase 2 last Christmas (or rather it was a draft that never got published). So prepare for tech overload as I tackle both below. First, on an unrelated note, Thor’s rules for touring in a band (contains unsavoury rock band language) are probably an equally good model for road trips and spending prolonged periods of time with anyone really. Phase 2 of the upgrade comprised of a complete overhaul of the sound system. It had been on the cards for a while as I was in the strange situation where my PC’s 2.1 speaker set (the stellar Logitech Z-2200) actually sounded better than the cheap surround sound system in the living room. I was fixed on KEF 2005.3 speakers, with their excellent sound, powerhouse sub and stylish egg-shaped satellites. Plus they were British so this could be considered less a lavish expenditure and more performing my patriotic duty by supporting the economy. They demand a decent receiver and eventually I settled on the Denon AVR-1610. The combination has blown me away. My neighbours have been very accommodating. This required a universal remote to wrangle the sprawling beast into something usable. I went with the Logitech Harmony One for a combination of ergonomics and easy software: you to select the equipment you have and then list the basic activities you perform to set up the remote in about an hour, though you can easily spend several more tweaking every single button on the device, as well as its touch-screen display. I had read people joking online about universal remotes saving their marriages but I can believe it. Anna stared in horror when she saw the new setup with four remote controls sitting on the coffee table. Now she can navigate it like a pro. Phase 3 was a longer term plan that I hadn’t expected to occur so swiftly. The system’s limiting factor was that media was stored on the PC in my room and streamed wirelessly to the Xbox. The two-fold problems were that the PC needed to be on and wirelessly streaming HD content is doable (over wireless-N at any rate) but temperamental. The solution was to move the media to a NAS drive plugged into the router, and stream it through an HTPC sitting under the TV. The former was fairly easy to select: Netgear’s ReadyNAS Duo was easy to setup and provided two empty drive bays. I added two 2TB WD Caviar Green drives and they automatically mirror one another, which is protection my video collection had previously foregone. I definitely recommend it as a first NAS unit for the home for ease of use, but do read the instructions and do not install a drive with data already or you’ll find yourself in serious trouble when the unit tries to create its own boot partition. After much research, I decided to build my own HTPC using a barebones Shuttle XS35GT as the base. I became enamoured with the idea of attempting to build a PC with no moving parts, the dual benefits being low power consumption and, more importantly, total silence. The Shuttle is low powered, but packs an nvidia ION 2 GPU capable of streaming HD content. No optical drive was necessary and a Corsair 40GB SSD was relatively inexpensive (size is not an issue since the NAS takes care of data storage). The SSD would also provide a test to justify the expense of a larger one as a system drive when building my next desktop (so far, I’m convinced). The new machine was named Serenity, a nod to Firefly’s silent space shots. I have to admit, booting up a totally silent PC is actually a little eerie at first since I subconsciously use the instant whir of the fan as feedback to know it’s working. I’m still tweaking Media Center and trying out Kylo which is a web browser designed for TVs at a distance. Control-wise the Harmony works for media center usage, but I splashed out on Logitech’s Air MX mouse (it’s gyroscopic so you can operate it by waving it in their air) and the svelte diNovo Edge keyboard, which is the only keyboard I’ve ever considered putting out on display. The finishing touch was an afterthought that only dawned on me once everything else was complete. Since I now had a PC sitting next the to the TV, I could attach my old amBX kit finally to create what amounts to a mutant Ambilight Sony BRAVIA TV. The evening started with a frozen joint of lamb in Brixton. It had, by means to which I was not party, migrated to a kitchen in Clapham where it was defrosted and marinated. Shortly afterwards I received a call from a perterbed Angie explaining that we were supposed to be having dinner and watching a film with her brother Ian (who was visiting from university) but the food was at her flat and they couldn’t watch a film as the projector was at Ravi’s in Brixton. An old yet obvious solution presented itself, although the distance between our three respective rooms has grown somewhat since university: bring the lamb to mine and use my kitchen and living room to entertain instead. Anna was away for the weekend so no one would mind the intrusion. While the lamb cooked we watched Moon (I mentioned Moon before — but not after — seeing it: it’s an excellent slice of intelligent sci-fi carried almost entirely by Sam Rockwell and the crisp simplicity of its lunar sets looks great on blu ray). As we ate, the new HTPC I built (details another time) during the blog’s downtime got its first group use. Someone suggested happy music which somehow led to a retro waltz through Ace of Base’s 90’s hits. At this point Angela apologised to Ian for the fact we’re not like hanging out with students. “I’ll find the email,” said Ravi, reaching for his phone. I could. And it did. A giant, phallic cake filling the 40″ screen, with an unnecessary drop of glistening white icing at what is best described as the tip. We agreed. It was after midnight and we were definitely students once more. We scanned the DVD shelf and put on Ace Venture: When Nature Calls. It was the only thing to be done. Evidently student life isn’t really something one outgrows, even once a Contributing Member of Society. All it takes is being thrust back with the right group of people; all that changes is the toys get more expensive. P.S. Apologies to those expecting Toto in this post. There is none. As I always do around this time of year, I want to encourage everyone to donate to Child’s Play, the charity that shows the gaming community at its very best. Dozens of children’s hospitals worldwide (and now two in the UK) are signed up and you can donate games and toys that will make sick kids’ time in hospital that little bit more bearable. Last year I left it too late and nothing was left on the list for Liverpool’s Alder Hey Children’s Hospital so I donated to the Tulane Hospital for Children in New Orleans instead. Their thoughtful thank you note means this year I guess I’ll have to give to both. I’ve gone slightly off-piste by including copies of How To Train Your Dragon rather than just games, which means the kids will probably receive theirs before I do. This probably shouldn’t make me feel quite so jealous as it does. I tend to use this time of year to reassess my regular donations to charity too (ideally in an upward direction). For those like me whose primary charitable contributions are sadly not in time but merely redistribution of wealth (my desired self-image as a sort of Robin Hood wielding a pen rather than a bow may not be wholly accurate), picking charities carefully is important, rather than knee-jerk responses to those who spend the most on advertising. I want to highlight GuideStar UK, an organisation of which few seem to have heard, which provides a wealth of information on about 163,000 charities throughout England and Wales, including their financials. I was a fan of Intelligent Giving, which provided easy-to-understand analysis of charities based on size, salaries, quality of reporting, etc. Sadly the site closed following a merger with consultancy/think tank New Philanthropy Capital, and they seem more focused on consultancy to assist charities with their reporting. I hope to see them reopen something similar, but if anyone can suggest others analysing/rating charities in a similar way then I’d love to hear. The only downside I’ve found is that it makes one more interested in checking the breakdown of how the money gets used and less likely to donate on the street, meaning you are actually likely to appear less charitable. But then appearance isn’t what it’s about, right? A combination of qualification, flat moving, delays in landline connection and database upgrade issues led to an enforced break. All of that now dealt with, I’m feeling refreshed and keen to get back into it. Let’s start with a couple of new reviews that went up in my absence: Buried and Toy Story 3. I suspect the latter may cause disagreements but, while it’s good, I simply did not enjoy it as much as I hoped when compared to the stellar How To Train Your Dragon. Expect a few more reviews soon. The rest of this post was written a while ago, but I’ll put it up anyway. I recently headed to a talk by Ninja Theory’s Tameem Antoniades, Creative Director on Enslaved. While I already view videogame development as a legitimate creative industry, it is still nice to have external confirmation. Sitting in a crowded BAFTA theatre certainly provided that. Tameem’s talk focused on Enslaved’s collaborative process with individuals from the film industry. Andy Serkis voices the player character, Monkey, but also co-directed the performance capture sessions. Scriptwriter Alex Garland came on board at an early stage and influenced level design choices by emphasising the need to set up encounters through the use of subtle film flourishes such as fleeting shadows. And finally veteran composer and musician Nitin Sawney was providing the soundtrack. Enslaved’s story is based on the Chinese classic Journey to the West, though in the UK it is largely known only through the cult Monkey TV series. Though they have chosen a futuristic, sci-fi setting, Ninja Theory’s Eastern influences are clear, both in their previous game Heavenly Sword and the recently announced Devil May Cry reboot, which many were surprised to see handed over to a Western developer. The post-apocalyptic USA, inhabited by mechs that vary in size from humanoid to gargantuan, is surprisingly saturated with colour a conscious decision and a welcome change from typical incarnations. Playing the game, my concern was that the basic combat elements in the demo would swiftly become repetitive. This is avoided through the ability to upgrade Monkey’s combat abilities. Purchasing new moves gradually over the game provides nuance and keeps things feeling fresh, but the danger is that you are not forced to do so — players may instead purchase them all early on or even eschew them entirely in favour of health or shield upgrades which would turn combat into a horrible grind. So the action platforming gameplay is enough to keep the player engaged, with neat environmental puzzles breaking the pace well, but it is really the quality of the performances — Monkey, Trip and Pigsy — that sells it. It is the first time in while that I’ve finished a game to find myself genuinely disappointed to be unable to spend more time with its characters.